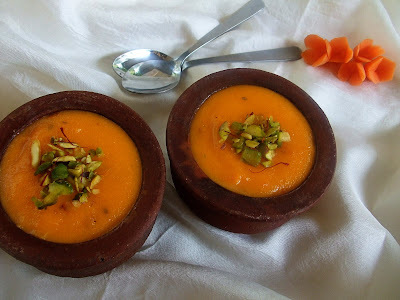 We love carrots.We make sure that there is always a batch of carrots lying inside the fridge.I love experimenting with carrots.Carrot phirni is a frequenter in our home.I add carrots for the lovely hue and flavor it renders to the phirni...Carrot phirni is my sistor's favourite dessert..This rich and creamy carrot phirni is sure to win your hearts too..So give it a try.. 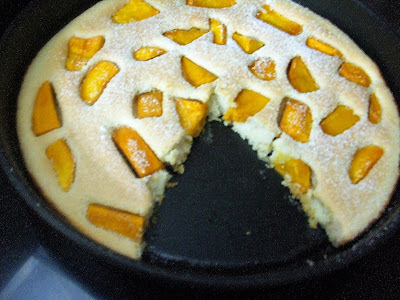 I'm sorry about that friends..But I'm so desperate to share this yummy dessert recipe with you all...So here it comes.. 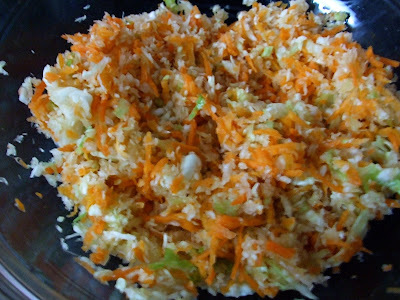 Drain the soaked rice and with very little water grind the rice and the boiled carrots together to a smooth paste. 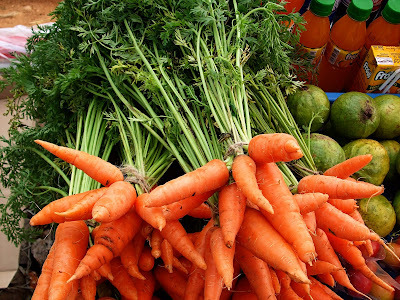 Bring the milk to boil.Add the rice-carrot paste and sugar.Keep stirring. 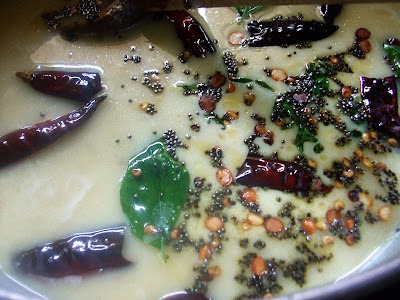 Simmer and cook for 6-8 mins or until the phirni gets thickned. Add the saffron milk,cardamom powder and cashews.Mix well. Pour them in a tiny earthern pots(if you could get these) and sprinkle some pistachios.Place a silver or gold warq(optional)..Serve chilled! 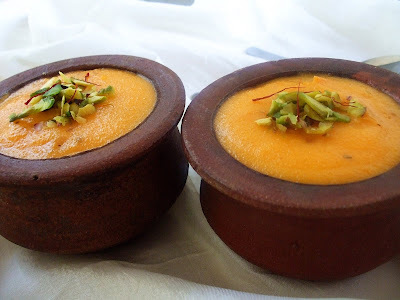 I 'm sending this off to Sanghi's FIL-Carrot event.This phirni is dedicated to my loving sistor who is very fond of this dessert. 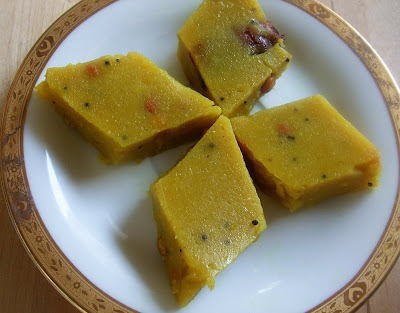 Also sending this to Srivalli's Mithai Mela event..
Madhuram's Mango Halwa - I made this very very yummy Mango Halwa in microwave..I used the pulp of 'Senthuram' Mangoes,for their nice orange color.The halwa turned out so well..It was like the Naturo's Mango jelly that we get in India..I'm sure I will make this quite often..Thanks ,Madhuram! 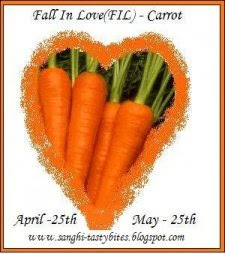 The above pic is my entry to Jugalbandi's CLICK-Spring/Autumn event.I think this is quite appropriate for this month's theme...I clicked these carrots from a vendor's cart. 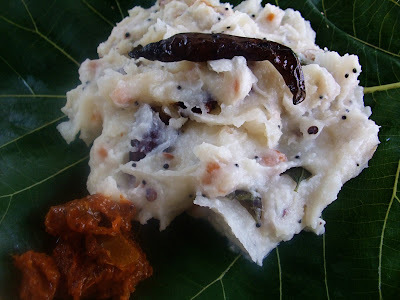 Puli(Tamarind) koozhu(pronounced 'Koolu') and Mor(Buttermilk) koozhu are also known by various other names like Rice flour upma or Kali or AmruthaPalam.These are often made in the rural side of TamilNadu...Both my grandmas make these often .Don't get decieved by the messy look of the kali..It really tastes divine!The tanginess of the buttermilk/tamarind with the perfect 'tempering' makes this kali/koozhu incredibly yummy..I love the Puli(tamarind) Koozhu better than the butter milk one..My grandma makes this by soaking the par-boiled rice for an hour and then grinding them to smooth paste.But this needs some forethought and some extra effort know?! 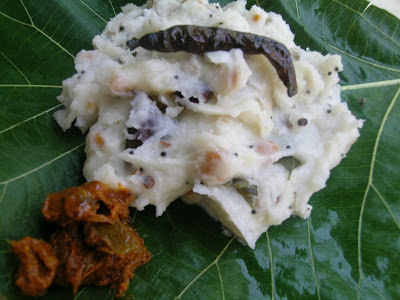 I could see that there are people like me who wants to make this kali/koozhu in jiffy.I'm posting the short-cut method too..
Long back ,my college senior and friend,Ajay Kumar shared with me this Quick-Mor Kali recipe.He lives in Singapore with a bunch other guys and doing his Masters in NTU,S'pore.He is the chief cook at their home and I always wonder how he manages to cook without a mixer/grinder..His cooking sans onion& garlic...But these limitations,doesn't prevents him from making the best tasting food..His roomies always show thumbs ups for the food prepared by him..Ajay is not only a good cook but also a great writer..Check him out at Tantalizing Thoughts. 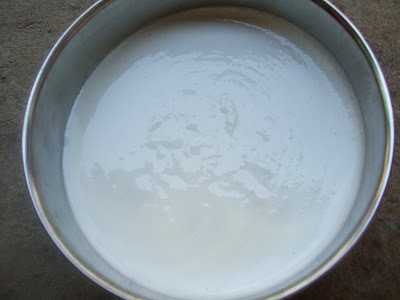 In a heavy bottom vessel,mix rice flour,salt and buttermilk to form a homogenous mixture. 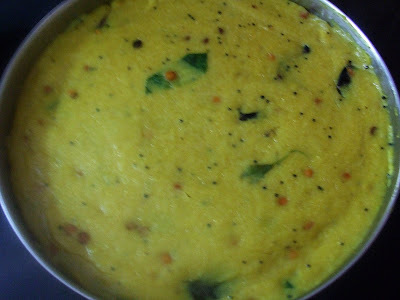 Heat oil in a small fry pan, add mustard and hing.Let it splutter.Add red chillies ,channa dal ,urad dal and curry leaves.Fry until the lentils are golden..
Add this tempering along with oil to the rice/buttermilk mixture. Place the heavy bottom vessel on flame and stir constantly for 10-12 mins.When you dip your fingers in water and touch the kali ,it should not be sticky.This is the right consistency of kali.You can turn off the heat at this point. To have the authentic 'Grammathu'(Village) feel,serve in a leaf..I used a large teak leaf to serve.Place some fried mor-milagai(Buttermilk chillies,available in large Indian grocery stores) and 'Citron pickle' (Narthangai urugai).. The whole procedure takes only 15 mins to make this dish.. So this goes to Mahimaa's 15-minutes cooking..
You can make this kali by simply substituting buttermilk with tamarind water in the above method..But what I'm going to show now is the elaborate method. Here we soak the rice and then grind it to make the kali.This yields much more yummy and aromatic kali..I love the kali made in this way better than the quick method! Soak par-boiled rice in 1.5 cups of water for 1 hour .Drain the rice and reserve 1/2 cup of the soaking water.Grind the rice with the 1/2 cup of water to a smooth paste. Soak tamarind in 1.5 cups of water separately for 10 mins.Extract the tamarind juice from the pulp.Add the tamarind juice to the rice paste. Add turmeric power,hing,salt.Stir well to form a lump free mixture. Heat oil and fry mustard,red chillies,urad dal,channa dal and curry leaves. Throw the tempering to the rice/tamarind mixture.Combine well. Place this over medium flame and stir constantly for 10-12 mins.When you dip your fingers in water and touch the kali ,it should not be sticky.This is the right consistency of kali.You can turn off the heat at this point. 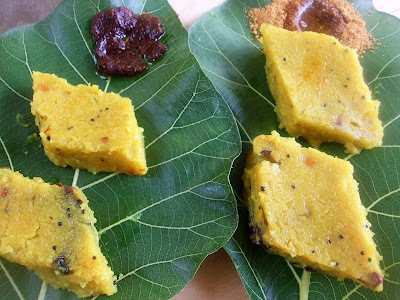 Though you can serve the kali as it is..my grandma always serve them as squares/diamonds. Grease a tray/plate.Pour the kali and spread it evenly. 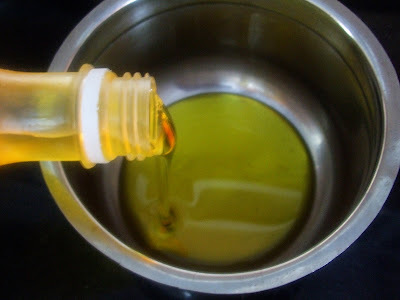 Don't forget to drizzle few drops of coconut oil over the bed of kali.This gives a very nice flavor to the kali. In our home,its made after dinner and allowed to cool at room temp for the whole night.The next morning,we slice them up into squares/diamonds and have them for our breakfast. 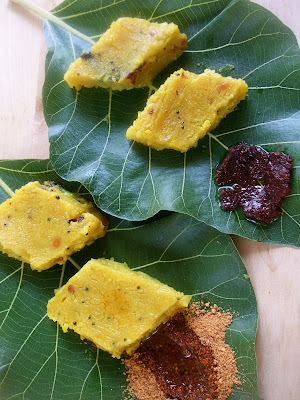 It tastes best with Idli-milagai podi and Garlic podi! 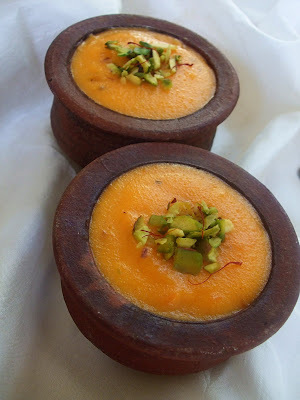 I sliced these kali when they are still hot..So it looks imperfect.. 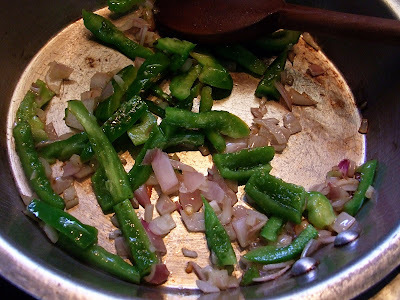 Here you can see the frim and perfectly sliced kali.. 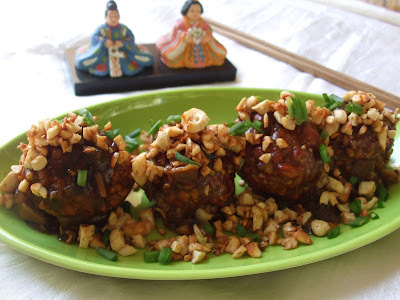 This is one dish which is always loved by everyone at our home! 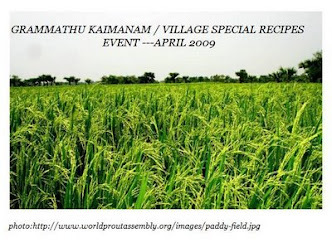 I'm sure you too will love it soo much..So do try and tell me how it came..
Kali/Koozhu is orginated from the rural regions of Southern India.. I made Lisa's Mango Coconut Pancakes y'day.And it was super soft and spongy..The mango and cardamom flavors blended very well .I think I should have let it brown more..But the taste was great..The whole experience of making this pancake was fun..And eating them with my younger cousins were much more fun..They didn't even allowed me to click the pics.. They were all gone in few secs! 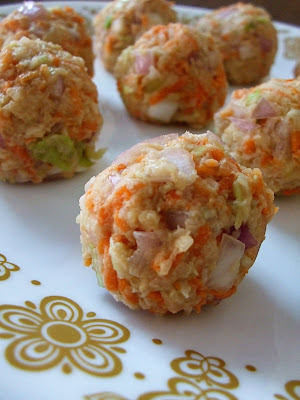 Check out the recipe at her blog.. 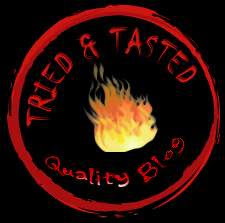 It goes to Tried & Tasted event hosted by Aparna which is originally started by Zlamuska. 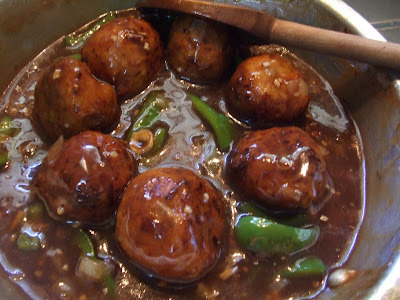 Veg Kulchara ,Veg Manchurian balls(Gravy) & Sarsaparilla(Nannari) Sherbet!! Veg Kulchara was introduced to me by my friends during college days.Here, in a restaurant they serve this delicious chinese starter which is irresistable.Most of us love chinese food esp the manchurians.Kulchara is kinda manchurian that has lots of cashews and its drizzled with butter.Can you imagine how tasty it could be?Though I had this dish many times in restaurant,I never thought of recreating it at home.When I saw the theme for Lets go Nuts event for this month-'Cashew Nuts'..I determined to make this Kulchara..Non-vegeterians can try chicken and fish Kulchara too. 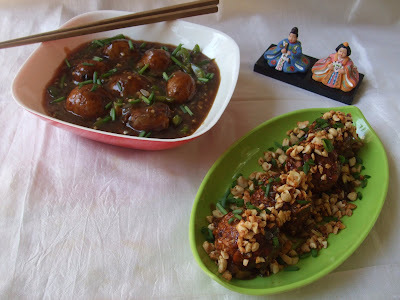 Veg Manchurian Balls in gravy is very popular and it pairs very well with Noodles/Fried rice.We had with plain boiled rice.I have used Caramel for sweetening the gravy instead of sugar.This not only gives a nice color but also enhances the flavor. 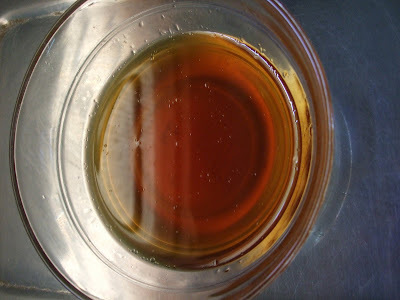 For making caramel, add 2 tbsp of Sugar and 1/2 Tbsp of lime juice in a skillet.Keep in med heat until the sugar gets melted completely.Leave in low heat without stirring until you get a good amber color. 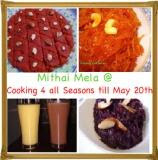 Mix together the ingredients of 'For Kulchara' together except cashew nuts.Do not add water,the water from the grated cabbage/carrot itself is enough to bind the mixture. 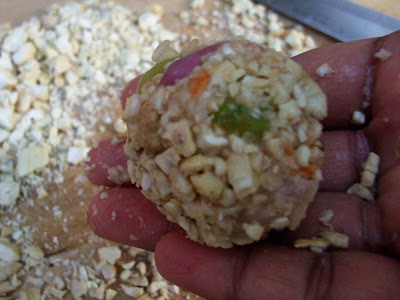 Make small balls from this mixture and place them in a plate. 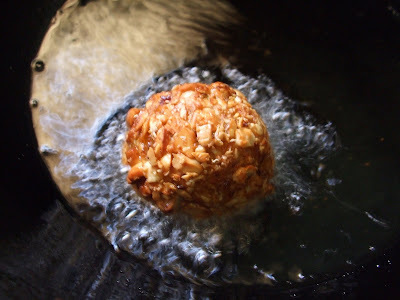 Heat oil for deep frying..Coat each kulchara balls with the chopped cashews .Make sure that all the cashew bits are adhereing to the kulchara balls. 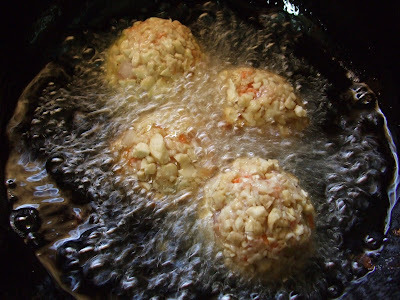 Gently drop 2 or 3 kulcharas at a time,depending on the size of the skillet.And fry them in med heat until golden brown. 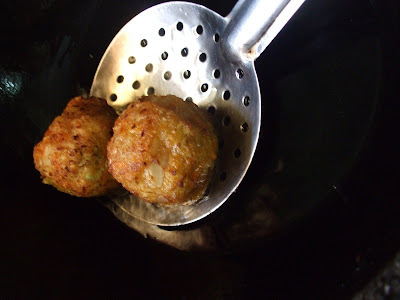 Do not fry them in high heat or else the inside of the kulchara will not get cooked properly. 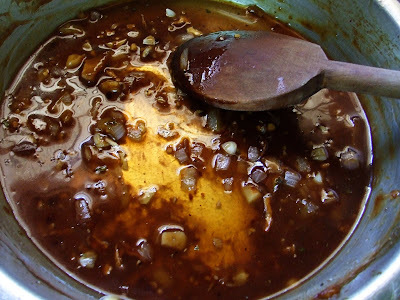 In a pan,heat 1 tsp oil and fry onion,ginger garlic paste,and red chilly flakes..Add all the sauces,salt,aji-no-moto,vinegar.Let it bubble for 30-40 seconds.Add caramel ,corn flour mixed in 1 tbsp of water.Let it simmer for a min.Check for salt,sweetness or spicyiness.Add whatever sauce you want according to your taste. 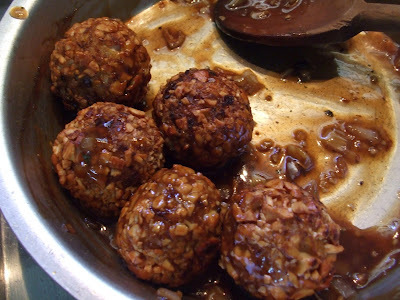 The sauce is ready.Coat the fried kulchara balls in this sauce.Pour remaining sauce over the Kulcharas. 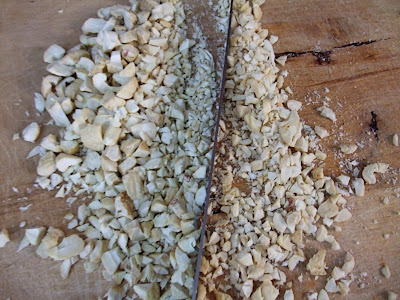 Fry 1 tbsp of chopped cashews in butter. Sprinkle this roasted cashews over the kulchara .Pour the remaining butter over the kulchara.Garnish with spring onions. Sending this to Lets go nuts with Cashew nuts event guest hosted by Poornima Nair and intiated by Aquadaze. 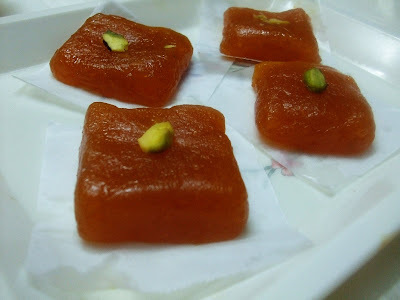 The recipe is same as the kulchara except the use of cashews. Only the measurements for preparing the sauce/gravy varies here. 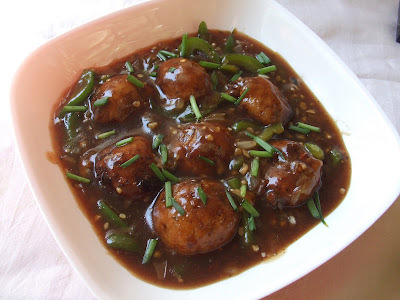 Mix all ingredients of manchurian balls and make a dough.Shape into uniformly sized balls and deep fry them in oil. For gravy,heat a tsp of oil.Fry onion and capsicum for a 1 min or so.Add ginger garlic paste and fry for 30 secs.Add the sauces,vinegar,salt,aji-no-moto,red chilly flakes.Let it bubble in low heat for a 40 secs.Add the caramel and corn flour mixed in water.Let it simmer for 1/2 min or until the gravy appears glossy.Add the manchurian balls to the gravy.Garnish with spirng onions and serve. 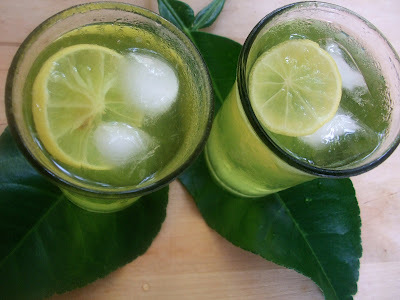 'Nannari' Sherbet is a refreshing drink sold in carts during summer season in India.Nannari is a root which has the medicinal property of protecting the body from common summer aliments.It is a natural coolant and it purifies blood,prevents stone formation in kidneys,controls tonsillitis and solve acidity and constipation problems. 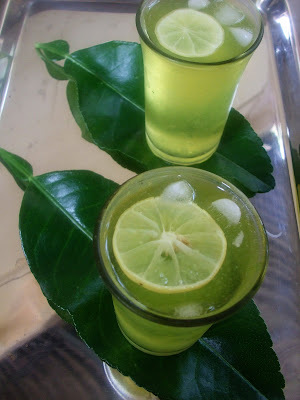 The Nannari Syrup is easily available in India.So if you have the syrup in hand the drink can be easily prepared. Mix all the above and check for sweetness.Add sugar if its not sweet enough. Sip and enjoy the summer! 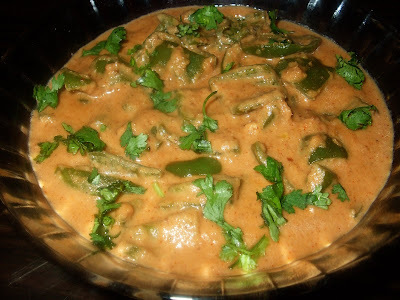 Asha's Bell pepper Korma - Bell peppers are my fav! 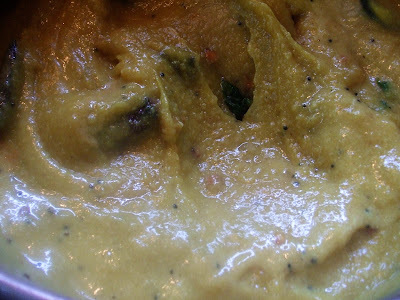 And a rich korma with it is mind blowing.I wanted to try it immediately after I saw it at her blog.But I can't find the colorful Bell peppers in my town.So finally I made with the regular green ones.It was superb!We had with rotis .I also had this as a sauce for pasta.. The almond gravy with bell pepper flavor goes very well with pasta!Thank you very much!. 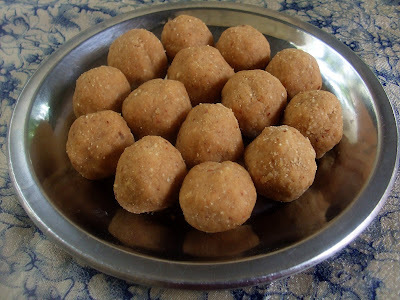 Priya of Sourahstrian Kitchen's Peanut Ladoos- This is the easiest ladoo recipe I have ever came across.I love peanut ladoos but making them at home is a real complicated thing.But this peanut ladoo is not only easy to make but also to eat.I would call it 'Melting-in-mouth' Ladoo.Instead of grinding them coarse and I powdered them finely.But there is no compromise in taste.I enjoyed it.Thank you very much! 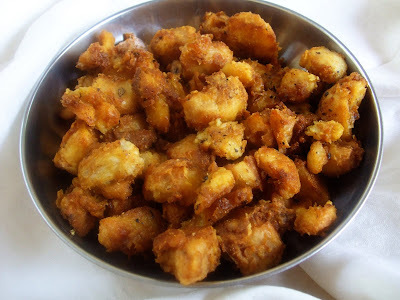 Food Fanatic's Arbi fry -I love arbi but we always make only one recipe with it.And that is 'Arbi podimass' .Her Arbi fry looks crispy and yum.So I wanna try it.Yesterday ,we made this as a side dish for Rasam Rice.I boiled the arbi to peel the skins and it got mushy.By mistake I added spices and then baked it instead of baking first .But it was nice..The arbi got a nice curst on outside and mushy inside..I can't stop eating them..Finally me and my sis end up fighting for this yummy Arbi fry.Thanks a lot for the recipe,FF! I'm passing it to all my blogging buddies...I love all your blogs.All of you are so sweet and are really talented chefs.Kindly accpet this award,friends..
My internet connection was down for past few days.Got it fixed last night only.Forgive me,friends for the delay in commenting at your blogs. These two cookies were made long time back and it was in draft to get posted.I think this is the right time to post them.Thanks to Srilekha for coming up with the wonderful theme-'Cookies'.I love cookies especially the one loaded with chocolate.I had a last batch of crunchy peanut butter in my fridge.I used them to make this chocolate-peanut butter cookies.It was great and I love the tiny peanut bits in it.I have no idea how I created the recipe and I just followed my instincts and got these lovely cookies.I baked them for a bit longer and it got little dark .But there is no compromise in the taste. The muesli cookie recipe was taken from thatslife.com.It turned out to be chewy,wholesome cookies. Beat together sugar(castor and brown sugar),butter and oil. Break in the egg and add vanilla essence .Beat well. Sift salt,baking soda and flour.Add this flour to the egg/sugar mixture.Combine well. Dump in the peanut butter and chocolate chips.Mix well . Drop cookie dough using a tablespoon on to the baking tray giving 2 inch of spacing for each cookies.Bake in 250 C preheated oven for 20-25 mins. The cookie will be soft when removed from the oven.Once cooled down they become crunchy.Store in a air tight container. Place the butter,sugar,eggwhites and vanilla essence into a bowl and beat with electric beaters until creamy. Sift in the flour and cinnamon ,and mix with a wooden spoon.Add the toasted muesli and mix to combine. Roll 2 teaspoons of the dough into a ball.Flatten slightly and place on prepared baking sheets.Repeat with remaining mixture.Bake in 250C preheated oven for 8-10 min or until golden.Allow cookies to cool on trays before storing. 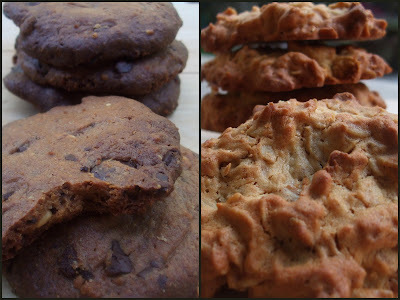 My chocolate-Peanut butter cookies goes to Poornima's For the Love of Chocolate event. Tried out the following recipes this week and they were just amazing..